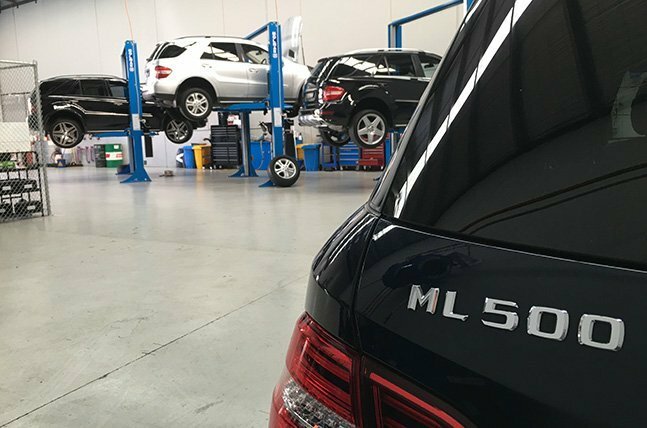 How can a driven and independent Mercedes-Benz service centre save you money? At Ammstar, we provide a complete range of ASSYST services. In addition to the standard Service A and Service B packages, we also offer a range of extra services depending on what you need. And since ASSYST only prescribes services on an “as needed” basis, you can rest easy knowing you’re not being ripped off. You only pay for what you need, and nothing more! Live in Burwood? Can’t justify servicing your car with the nearby dealership? Ammstar provides an affordable alternative to dealership service. They say you should get your car serviced once every year. 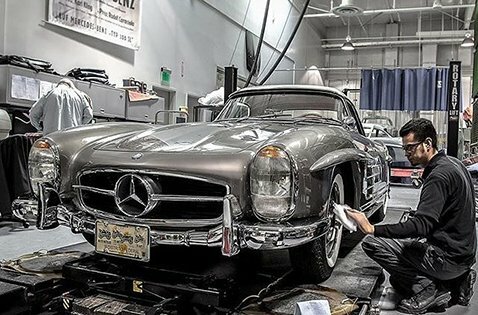 We’ll let you in on a little secret: not all parts of your Mercedes need annual maintenance! Many parts are rated to last years without servicing. That’s exactly how Service ASSYST makes maintaining your Mercedes more affordable than ever before. 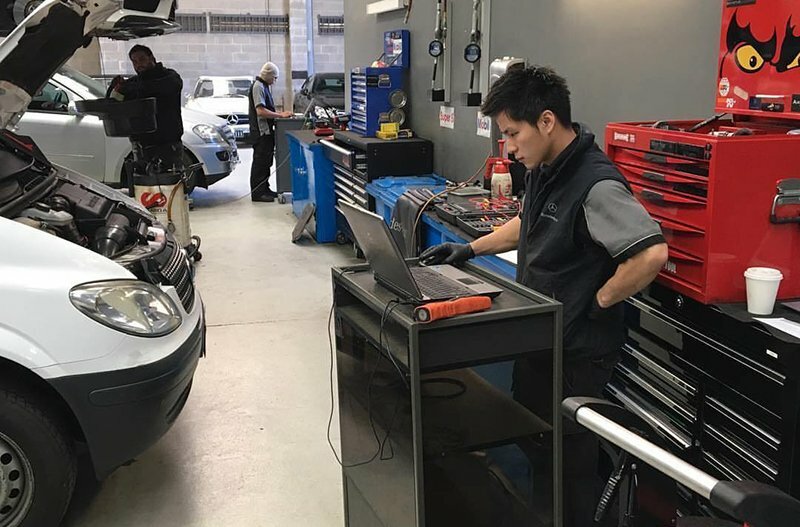 When you bring your Mercedes-Benz into our service centre, we check your vehicle’s overall health by consulting your onboard service computer. Armed with this knowledge, we prescribe extra services as needed. 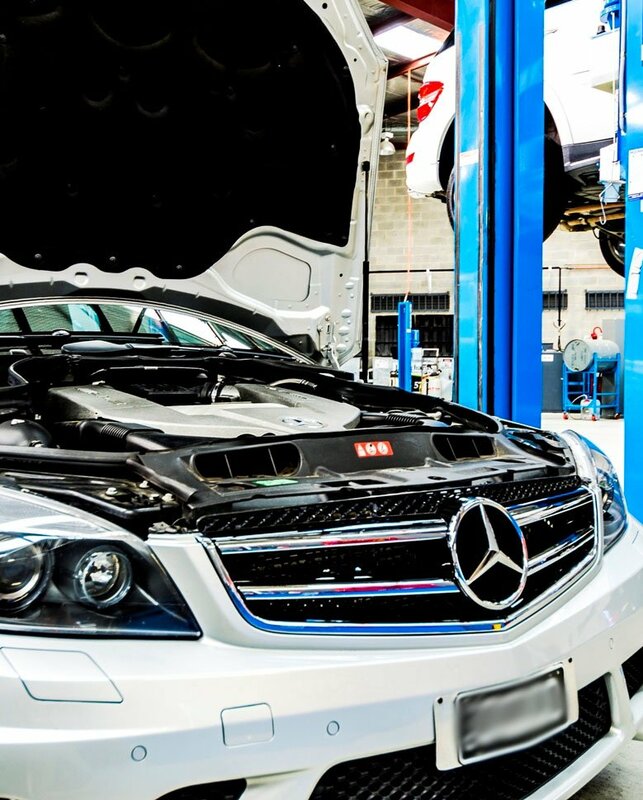 By alternating between routine maintenance packages and only performing non-essential services as needed, Service ASSYST keeps your Mercedes in peak condition without breaking the bank. One year, you might only need a quick oil change. Since your brake pads are fine, we’ll provide a routine service package that excludes brake maintenance, saving you money! Your Mercedes-Benz features an onboard computer system that tracks the health of your car’s individual components and systems – this is what powers Service ASSYST. Using this system, our certified diagnostic technicians can identify problems in specific systems, down to individual sections of electrical wiring in some cases. You won’t find any cheap, no-name parts here! Our specialist mechanics only work with genuine or OEM parts, sourced directly from official suppliers. This helps you avoid the markup that comes with the 3-pointed star, without compromising performance. Need help getting around while you Mercedes is in the shop? Starting from a low $20, we’ll offer you a courtesy car. Alternatively, we can drop you off at the station, and if you live locally, we can drop you off at home. We’ll even wash your car before it returns home with you!